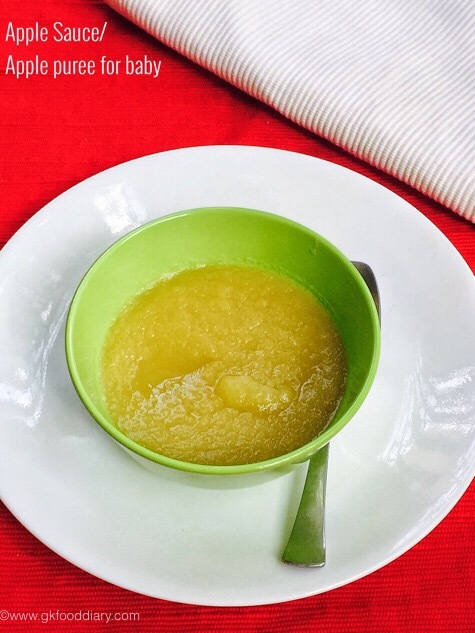 Apple puree - Easy and healthy steamed puree for babies with apples which makes a great first food for babies! Wash apple in running water well. Peel the skin off from the apple with a peeler. Remove the seeds in the centre part after cutting the Apple vertically into two pieces. Then chop them into equal size small cubes. Once the apple is steamed, it will be soft and transparent. Now blend it with little water to a smooth paste in a blender.